The commercial capital of the new world Dubai promises to be most sought after for the nightlife it offers. The quiet and warm daytime environs of Dubai take a whole new course at the night with a variety of beach activities, nightclubs, etc. Apart from being a popular tourist destination, some of the best nightclubs in Dubai adds to the charm of the city. 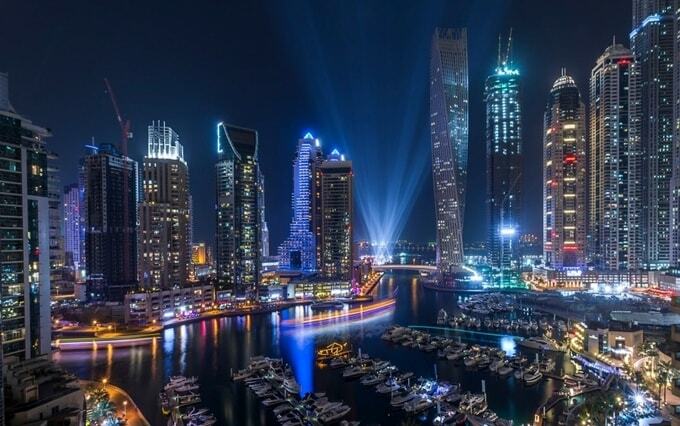 So, are you planning to explore more about Dubai nightlife? Well, look no further ask Kesari Tours to book you a customized package today. Dazzling though the nightlife maybe, it comes with its own restrictions, the club rules here are strict. With a lot of laws in place like minimum drinking age at 21 years, closing time being before 3 AM. But this doesn’t restrict the fun you could have in Dubai. 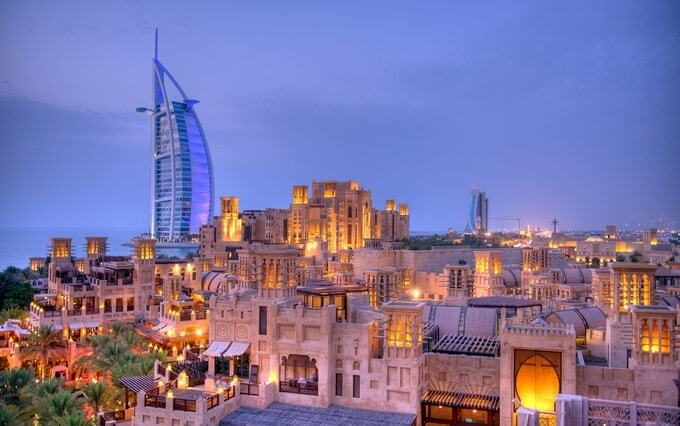 Here is our curated list of top five places to experience the best of Dubai nightlife. 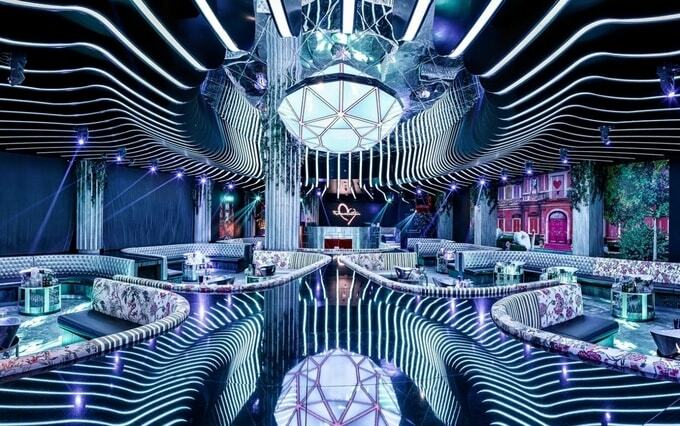 Club scenes: The nightclubs in Dubai are world famous and attract tourists from the world over. A visit to one is a not to miss activity while on Dubai holidays. Think of a club, ranging from super luxurious to playful you name it and Dubai has it. With nightclubs like Cavalli, Barasti, and Kasbar the list of trendy clubs and bars is endless. Late-night Shawarma: Dubai’s nightlife isn’t complete without eating a late-night shawarma. 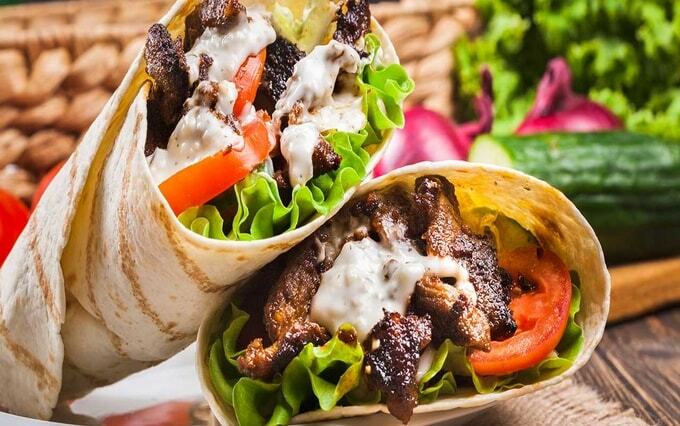 Most of the Lebanese restaurants are buzzing late at night as they serve mouth-watering shawarmas. Most of the footpaths are crowded every night as these restaurants cater to people on-the-go. One of the best places to try this delicacy is at the Aroos Damascus and Al Shami restaurant in Deira. Dubai Marina: A relatively newly developed part of the city, lined with boats of all sizes along the waterfront, speed boats, and yachts. A walk along it, with trendy European cafes, is one of the best ways to enjoy the nightlife in Dubai. Sheesha lounges in Dubai: A holiday in Dubai is incomplete without a swill of sheesha. Besides several nightclubs, bars, and cafes, sheesha lounges still hold prominence on the food and beverages scene of Dubai. Most of these lounges showcase the latest cricket or football matches live, or some games to relax and unwind your evening with friends. The sheesha lounges offer several flavours to choose from. There are no best or worst places in Dubai for a stay. However, there are four main places in Dubai that could be your best option: Burj Khalifa, Dubai Marina, Jumeirah, and the Palm Jumeirah. The Downtown or the Burj Khalifa region is the central part and has most of the bars and restaurants. The trendier ones can be found around the Jumeirah and Marina region though they are a bit expensive. So, whatever is your purpose Dubai offers a number of choices to its visitors. A place that never sleeps, Dubai has something for everyone. So, think no further, uplift your spirits and enjoy Dubai’s bang-on nightlife to the fullest with your trusted travel partner Kesari Tours.